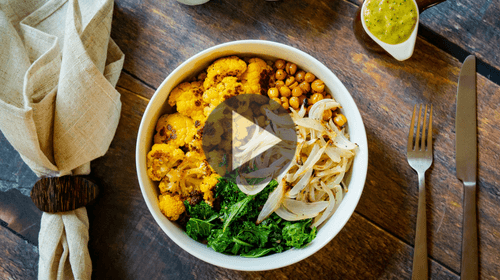 Plates are getting pushed to the back of the kitchen counter thanks to the next best thing in food vessels — the bowl. 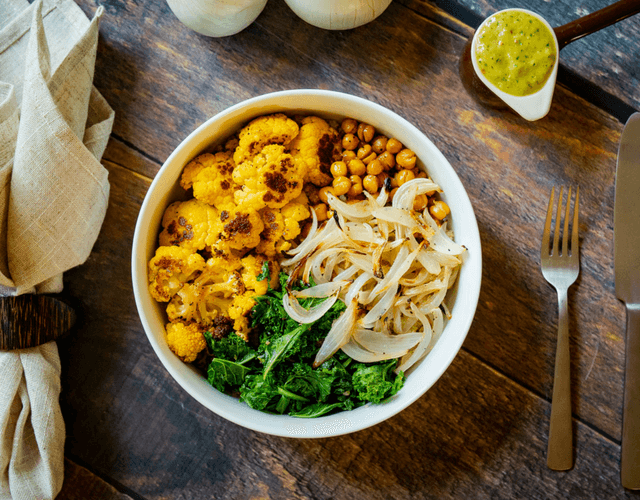 There’s no right or wrong ingredient when it comes to power bowls. Any ingredient in your refrigerator can turn into a one-of-a-kind dish. Combinations are abundant with this creative, fun, and very yummy food trend, and the onion wants in! 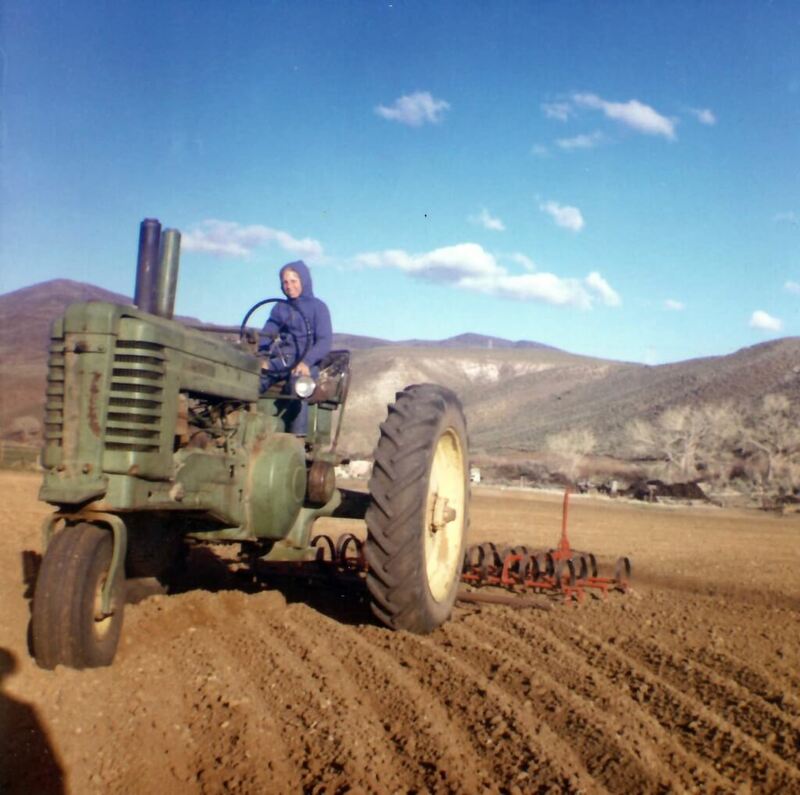 Grown “here at home,” Peri & Sons Farms bring safe, nutritious, non-GMO onions to market from Yerington, Nevada. This family-centered farm is four generations in, and takes growing fresh produce very seriously. Every onion on their farm is grown, packed and shipped in a responsible and traceable way. When you purchase onions from Peri & Sons Farms, you are also purchasing peace-of-mind. They have obtained GLOBAL GAP certification and recently became the the first domestic, onion farming operation to achieve the Sustainably Grown certification from SCS Global Services (SCS). 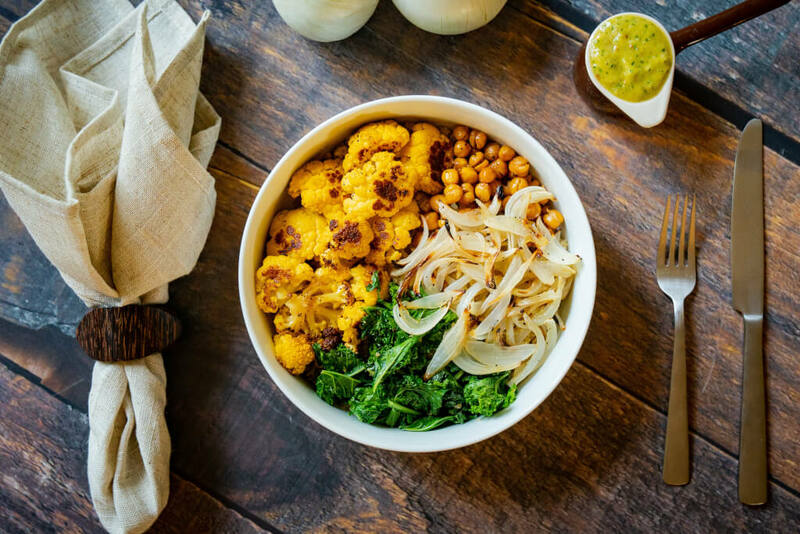 With accolades like that, preparing our onion two-ways veggie bowl is worth shedding a tear or two. 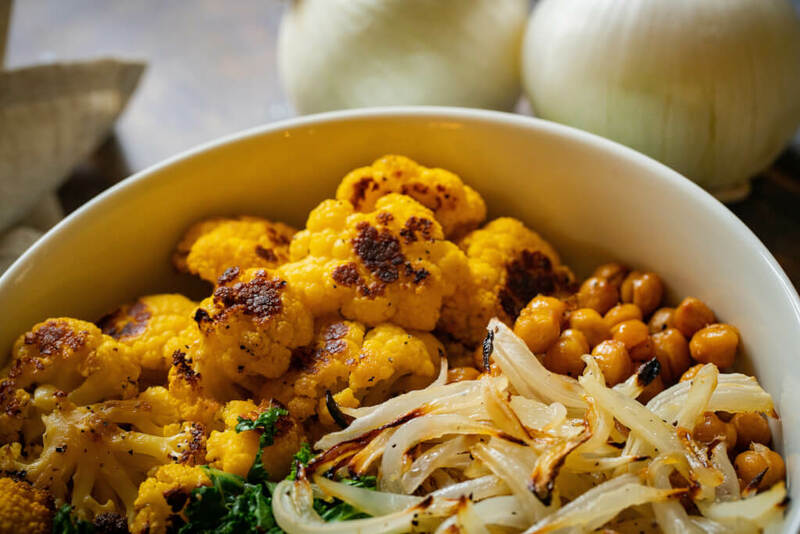 Place cauliflower and chickpeas onto a baking sheet and drizzle with 1 tbsp of olive oil. Sprinkle with salt and pepper, and toss to coat. Slice 2 Peri & Sons Onions into thin wedges and place onto a baking sheet. Drizzle with 1 tbsp of olive oil, sprinkle with salt and pepper, and toss to coat. Place baking sheets in the oven and roast veggies for 30 minutes. While the vegetables roast, heat 1 tbsp olive oil in a pan over medium heat. Add minced garlic and cook for 1 minute. Toss in the kale and stir to coat kale with garlic and olive oil. Cook for 5 minutes or until wilted and bright green. 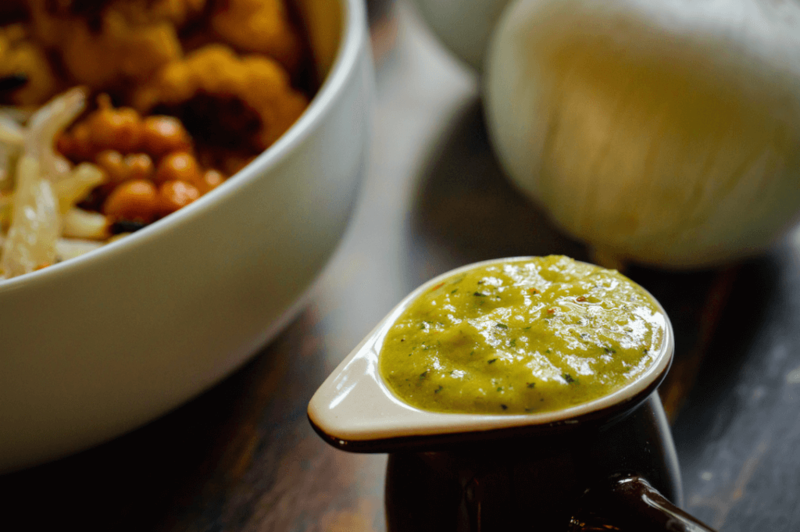 Once vegetables are roasted, add 1 roasted Peri & Sons onion, mustard, parsley, apple cider vinegar, and salt and pepper to a food processor. Process for 1 minute then slowly drizzle olive oil while still allowing food processor to run. Serve roasted vegetables in a large bowl over your favorite grain like rice or quinoa. Top with a generous dollop of the roasted onion dressing and top to combine. Enjoy!